Ibrox bosses are understood to be unhappy with Killie’s decision to reduce the number of briefs for visiting fans for the final league game of the 2018/19 campaign. 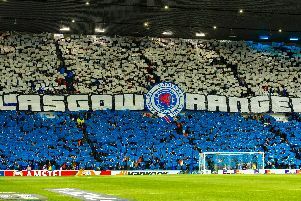 Celtic and Rangers are usually given both the Chadwick and Moffat Stands when they travel to Ayrshire, but Rugby Park chiefs have decided to give Rangers just 4,000 tickets for their upcoming trip - half the usual amount - with away fans being housed only in the Chadwick Stand. But Smith - who played for both Killie and Rangers during the Seventies before returning to Ibrox as director of football under Craig Whyte - reckons the Gers could take drastic action in response to Kilmarnock’s decision. Speaking on PLZ Soccer last night, he said: “I think [Kilmarnock] want to have a celebration, because they think can qualify for Europe. Smith, who headed up the Scottish FA between June 2007 and April 2010, suggested that Rangers could take the hump over the U-turn by Killie. 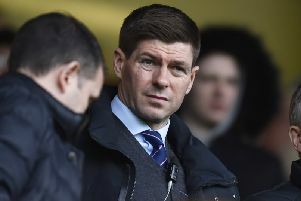 He added: “What [Rangers are] saying is, ‘We sell all these tickets for you twice a season and you get big crowds, we bring in a fair bit of money for you and now all of a sudden you’re halving your allocation so we’ll maybe see if we’ll take any future places at the stand’. Kilmarnock are planning post-match celebrations to mark the club’s 150th anniversary, while major shareholder Billy Bowie is keen for as many Killie fans as possible to show their appreciation to “one of the most memorable Kilmarnock teams in recent memory”. He said in a statement: “Kilmarnock FC is a family club and we want to make sure Rugby Park is an enjoyable and safe environment for people to enjoy watching football.